WordPress is a great piece of free software that you can use to build your own blog or get a free web blog WordPress.com without the need to think about hosting, domain name and even additional features. 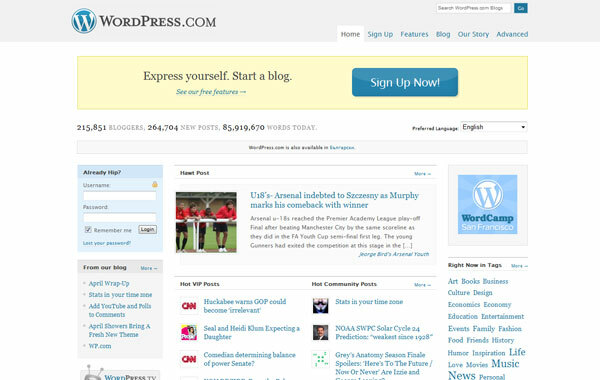 The WordPress.com’s blogging community is probably not the biggest, but it is quickly growing and you can become a part of it quickly and easily. When you register your blog you are getting a quite well built installation of the WordPress script with some features such as visitor statistics already up and running. You can easily customize the blog to suit almost your every need and even add some paid additional features if the free ones are just not enough for you. You also can fill up to 3GB with your photos so that you have more than enough space to use for any type of blog, even making a personal photo blog with a big image portfolio will be just fine. Blogger was started by a tiny company in San Francisco called Pyra Labs in August of 1999, but later on was aquired by Google, so now Blogger is a part of Google’s big happy family and you can also become some sort of like that by making a blog there. Blogger also provides a simple way for you to make money with your blog by using Google’s AdSense program. 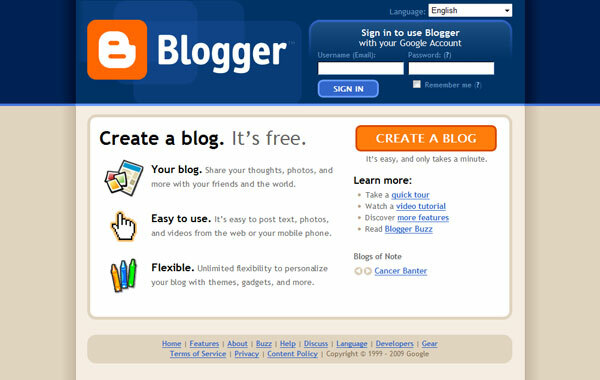 So basically Blogger now only allows you to share your thoughts, photos, and more with your friends and the world in a form of a blog that is very flexible to personalize with themes and gadgets but even to make some money while you are writing just about anything you want and are interested in. 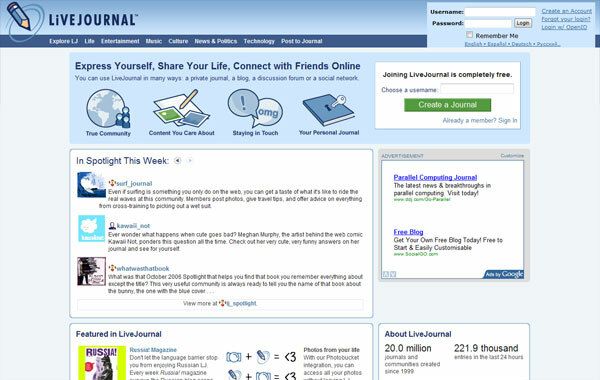 LiveJournal was one of the first services offering their users to make a blog, journal or diary. At the moment there are more than 20 million journals and communities created since the start of the service in 1999. Did you know that even the Russian president Dmitry Medvedev has opened his own blog on the LiveJournal? At LiveJournal there are few types of accounts some of wich are free and some are paid and for the paid services you just get more features and options. The Basic account type is a bit limited but is ad free, the Plus type of account is also free by is ad supported and it offers more featres. A Plus account should be ok for you should you decide to create an LJ (LiveJournal) blog, it comes with 1GB of space for uploading your images and it lacks just a few of the paid accounts extended features. – Twitter – some sort of a short or micro blogging platform that is becoming quite popular. – Fotolog – is for making a photo blog for photographers to share their pictures online. – Blogabond – specially designed for making travel blogs with maps of your journeys. – Snapvine – gives you the opportunity for voice blogging instead of using text blogging. – Thumblogger – a specialized free adult blog hosting service, useful for adult webmasters.